There are many aspects in life that you have to keep balanced in order to achieve total or overall health, security, and happiness. You need to improve each and every aspect to give your self a chance for growth and development. It is not very easy to achieve a balanced life but with enough determination and knowledge about how to do it, it is not impossible. One of the most important area or aspect of a person’s life is the body. You have to make sure that you will keep your body healthy and strong to be able to do and perform all of your duties and responsibilities. Eat a proper diet and keep your body fit by doing regular exercise or going to the gym. Aside from keeping the body healthy, these could also make you look more attractive. Feeling and looking beautiful will also contribute to the personal aspect of your life. The personal aspect includes your emotions, feelings, and the way you think about certain things. It is advisable to always maintain a positive outlook in life. Your mind is a very powerful organ as it could control your feelings and emotions. Don’t let negative feelings such as insecurity, self pity, sadness, and disappointment get the best of you. Thinking positive and being optimistic will do wonders. They will also help you achieve contentment in life that will eventually turn into happiness. There are other aspects of life that also contribute to a person’s total happiness and one of these is the financial aspect. Though it is true that money and material things should not be the focus of your attention, the fact still remains that this is very important in order for a person to survive in this world. Save money by keeping a part of your regular income or invest in something that could really return your investments. This will help give you a sense of security, peace of mind, and will prevent any financial troubles in the future. Although your present job could give you a steady source of income, it doesn’t mean that it’s the perfect job for you. It is also important that you like what you are doing because this will lessen or reduce the stress level that you get and will give you the motivation to improve your work performance. If you want to expand your knowledge, skills, and abilities, you could take additional education or personality development program which is another aspect of life and life is a continuous learning process. You should also have some time to improve your social life. Go out with your friends or spend some quality time with your family. This will somehow give you the feeling that you are being loved and that there are lost of people who love you and will always be there to support you. The spiritual aspect of your life is also important especially if you feel that you need some guidance or enlightenment during tough and hard situations. After a long time of hard work, it is advisable to take a break and reward your self with something that could make you relax and relieve you from stress, tension, and pressure from work. You can try out new sports or start a new hobby that will match your interests. It could be any kind of fun activities that you can do by yourself or with friends and family. 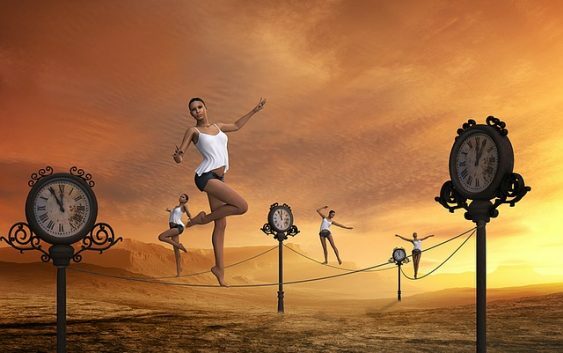 A balanced life can do many great things that will make you completely healthy and happy.